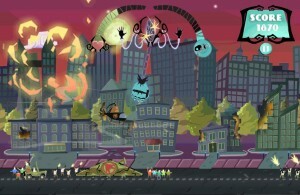 Zombies and aliens are probably the most popular subjects for game developers. So when 5 students from the University of Abertay, Dundee decided to go for the Dare to be Digital 2013 event, they figured throwing in a humongous alien, tons of frightened humans and ghastly attacks would make for a great game. And they haven’t disappointed. Calling themselves, Milksteak and the Jellybeans these five students have managed to pull off a rather entertaining side scrolling adventure. You play the role of the villainous alien Ghastly Grey Matter who has to hover in the air and smash everything in sight or abduct them. The big long claws of Ghastly will come in handy for grabbing cars and throwing them at humans and for causing chain reactions. 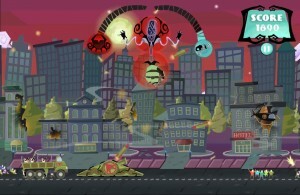 Players must use the green claw to grab organic matter which will feed Ghastly’s health. 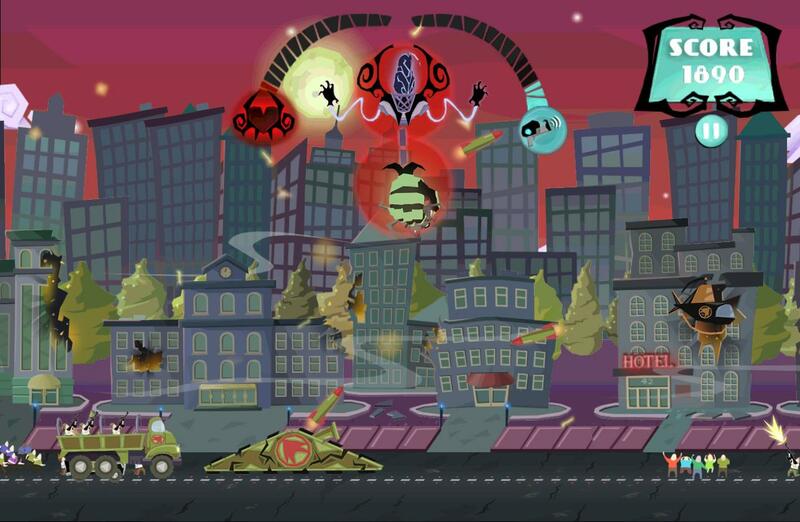 The claw can also become a fist at the tap of the screen to smash into stuff. Since the game belongs to the endless running genre, don’t expect to do anything more than stayling alive for as long as possible and grabbing the highest scores. The game has some interesting elements such as shield orbs (that dead characters drop) which gives 5 seconds of a safe run and a bonus bar which the player can use to create maximum carnage. Players can also compare scores and achievements on global leaderboards. 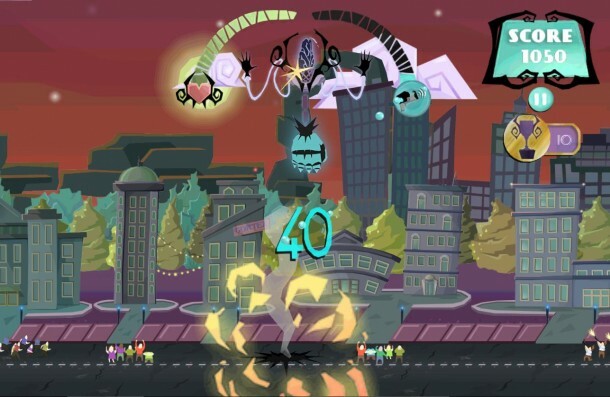 Attack of Ghastly Grey Matter is available on the Play Store for free, but it is a tablet-only game, so be sure to own an Android tablet if you plan to play this game.